I've taken a break from knitting to start a sewing project. I had first seen this Chenille Denim Throw via Currently or not martha a couple years back. 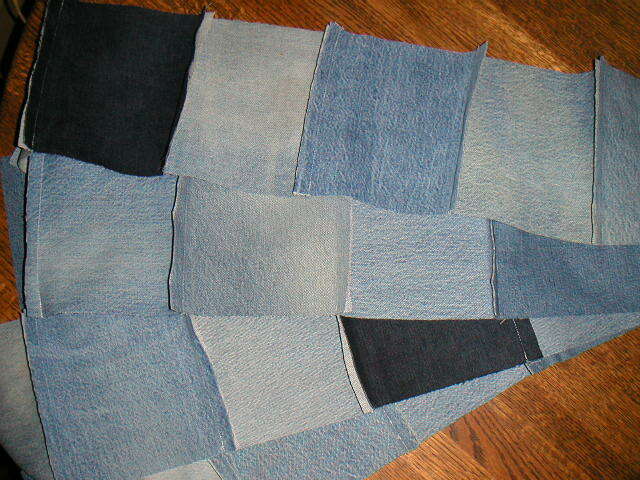 Since then, I have been collecting old jeans to start this project. I cleaned out my closet a couple of weeks ago and weeded out three pairs of jeans. I figured I must have enough pairs by now to start the quilt. 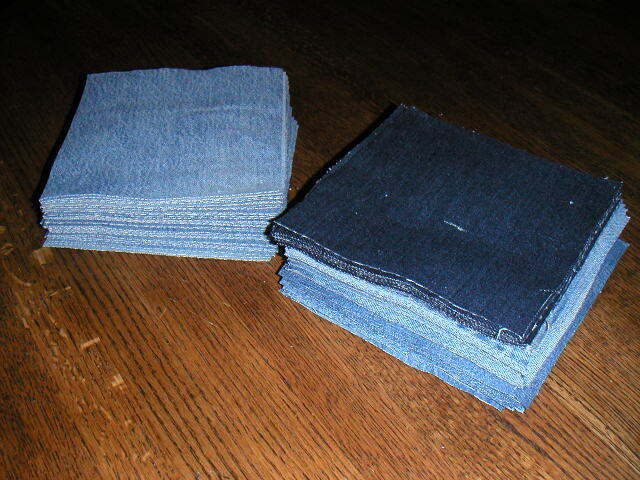 So, with my rotary cutter and new cutting mat, I cut 103 six-and-a-half-inch denim squares. My quilt will be 10 squares by 10 rows. I finished sewing all the rows last night and I started sewing a few rows together this morning. I can't wait to throw it in the washer and see the chenilled seams! 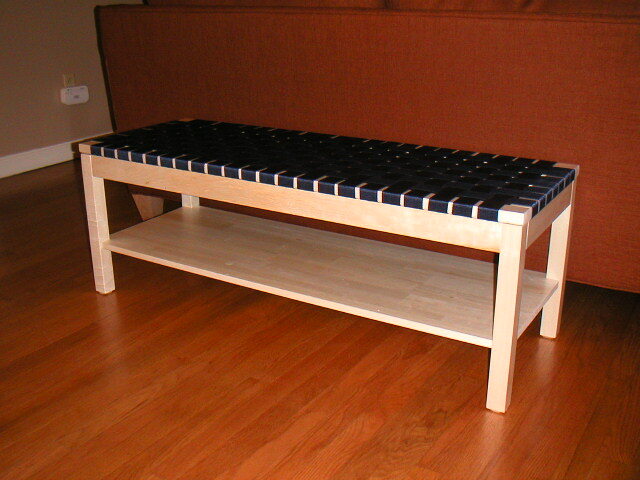 I was also in Seattle this weekend, mainly to go to IKEA for this. I would LOVE to rent this quilt from you for a photo shoot this Sunday. Please contact me if you'd be open to this. I think you would end up with some gorgeous shots of your beautiful work.